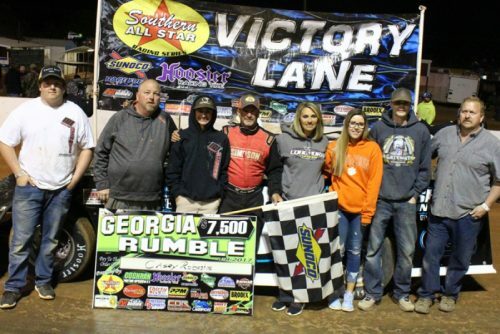 COCHRAN, GA-Casey Roberts of Toccoa, GA., paid visit number three to Southern All Star victory lane in 2017 as he moved under Travis Pennington on lap 31 who was slowed by a lapped car to get his 12th career win with the series and also pad his points lead over second place Bo Shirley. Pennington in his first start with the series in 2017 led the first half of the event as he and Roberts swapped the lead back and forth several times. 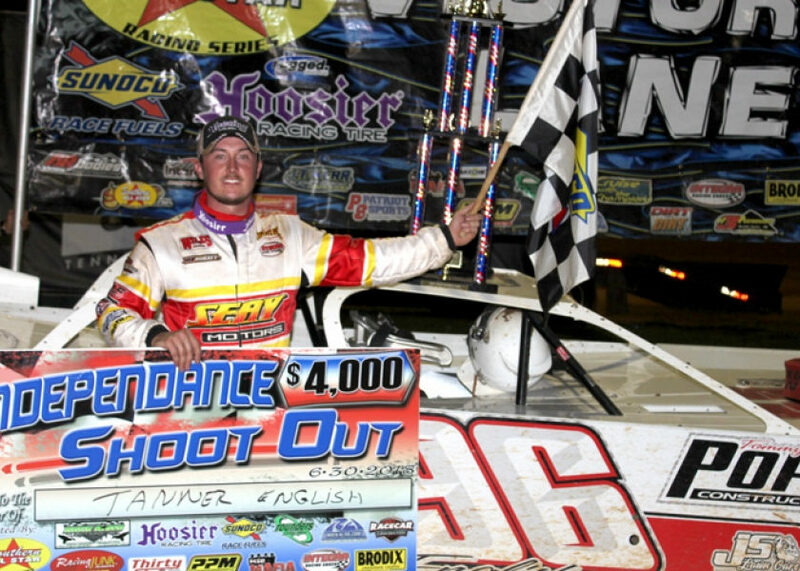 Pennington then made one last run at Roberts on the last restart but he had to contend with a late race challenge from Michael Page to hang on to second, third went to Page who worked the high side most of the night, fourth place went to Austin Horton of Newnan, GA., who had his best run so far with the series this season and it moved him into the third spot on the points standings and finishing fifth was 2008 Southern All Star Rookie of the Year Jason Fitzgerald of Jacksonville, FL., who rode the high side all night but could never get the traction he needed to advance further. RACE TIDBITS: Ivedent Lloyd had an impressive run from 24th to 11th; Clint Smith rolled his car in qualifying, then drove back on track qualified it then had to bring out back up car, only to end his night with broke driveshaft; Hunter Peacock broke a motor in qualifying; 2004 Southern All Star Champion Shane Tankersley made his first appearance again with the series after being off for 13 years. 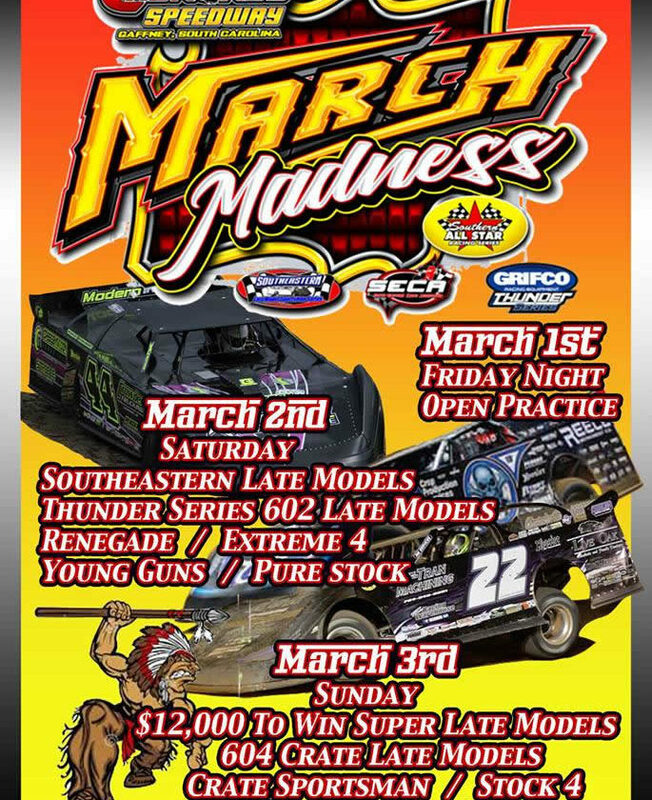 The next Southern All Stars event will be on Saturday night April 29th at the Smoky Mt Speedway in Maryville, TN., a 50 lap $7,500 to win event. 2017 AR Bodies Challenge: 1.Eric Hickerson 106; 2.Brad Skinner 82; 3.Josh Putnam 45; 4.Brandon Overton 38.